Takuo Shibuimaru is the second person that Light kills using his Death Note. 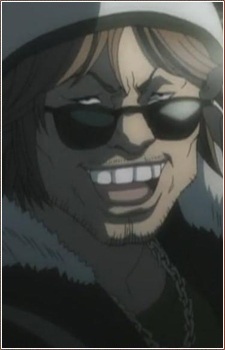 Shibuimaru rides a motorcycle and travels with a group of bikers, and starts annoying a woman in the street. After Light hears his name and sees him chasing this woman, Light writes his name down in all variations possibles to write his name, and uses a condition, a death by traffic accident. A truck slams into Shibuimaru's motorcycle, killing him. In the manga, Shibuimaru and his group harass the woman, while in the anime him and his group try to sexually assault her. In the manga Light feels some guilt since Shibuimaru is not a criminal.